Ada soalan mengenai Maritim Resort & Spa Mauritius? Ketika melawat Pulau Mauritius, anda akan merasa seperti di rumah di Maritim Resort & Spa Mauritius, yang menawarkan penginapan berkualiti dan perkhidmatan hebat. Terletak 12. Km dari keseronokan bandar, hotel 5-bintang ini terletak di lokasi yang sangat baik dan menyediakan akses kepada tarikan terbesar di bandar. Dengan lokasi yang mudah, penginapan ini memberikan akses mudah ke tempat yang anda perlu lawati di bandar. 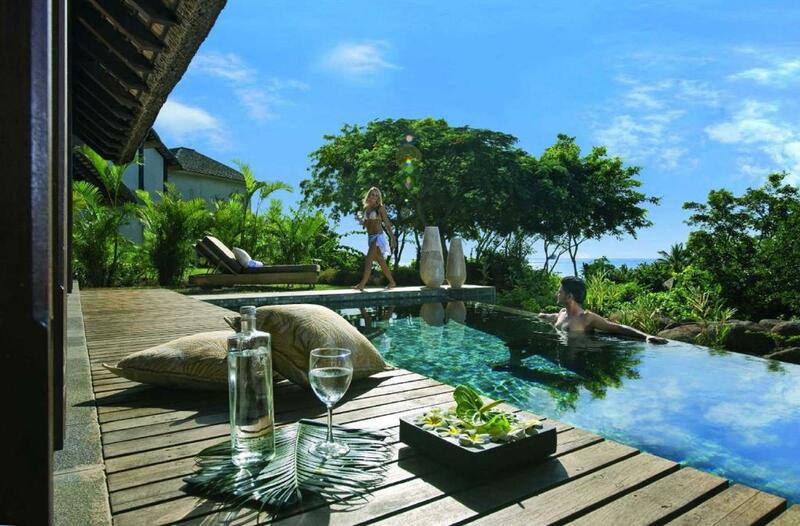 Maritim Resort & Spa Mauritius juga menawarkan banyak kemudahan untuk memperkayakan penginapan anda di Pulau Mauritius. Tetamu boleh menikmati kemudahan seperti khidmat bilik 24 jam, Wi-Fi percuma semua bilik, pengawal keselamatan 24 jam, pengemasan harian, kedai cenderahati. 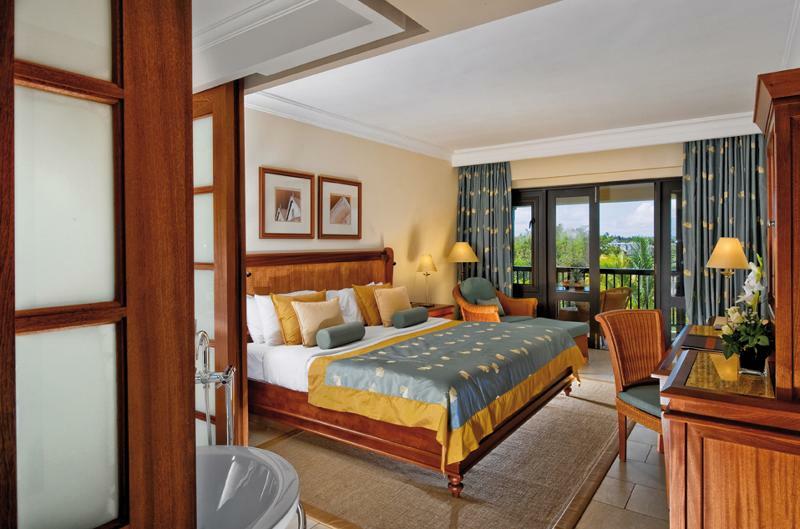 Maritim Resort & Spa Mauritius mengandungi 215 bilik yang dihias indah dan menawarkan televisyen skrin rata, ruang tamu asing, internet wayarles, internet wayarles (percuma), tab mandi pusaran air. Hotel ini menawarkan pelbagai kemudahan rekreasi yang sangat baik, termasuk bot, kolek, sewa peralatan ski, pelajaran ski, selam snorkel. 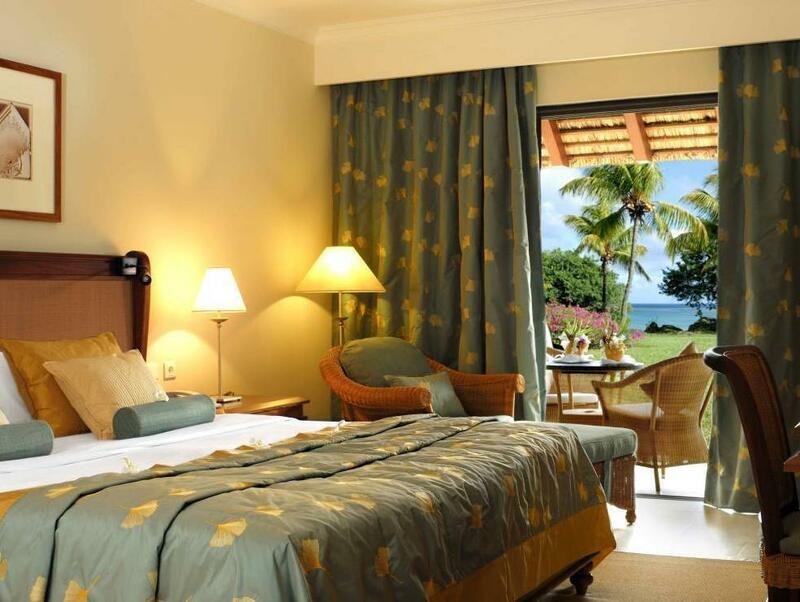 Maritim Resort & Spa Mauritius adalah destinasi sehenti anda bagi penginapan hotel berkualiti di Pulau Mauritius. Kanak-kanak 2-11 tahun akan dicaj EUR 90 setiap kanak-kanak semalam jika menggunakan katil yang ada. Kanak-kanak 12-17 tahun akan dicaj EUR 125 setiap kanak-kanak semalam jika menggunakan katil yang ada. All the restaurants were completely booked up, more than a week in advance..so you're stuck with a buffet (think cruise ship style) for each meal. Also, this is a very German type of hotel....if you don't mind lots of rule (dress code for a beach restaurant) and eating mediocre food (buffet every day) plus holidaying with Germans..then you're good. No nearby other restaurants to go to either..you're stuck at the hotel. Staff was nice though. I liked the size of the room and all facilities at the hotel. Pros: Activities like archery and Kayaking and many more are included. Cons: no HD TV in room. This is a real negative for a five star hotel They charged us for water and juice (i.e., drinks) at dinner even though dinner was included with N the purchase price, which I view as deceptive marketing. The watersports are excellent. Well done to Deepak and the other gentlemen who worked tirelessly to ensure we had a great time either kayaking, parasailing, snorkelling or swimming with dolphins. Amazing facilities for entertainment. But, 1. Took long time to check in. 2. Didn’t give ma wake up call. I had hesitated to book to stay at Maritim but decided to come anyway despite many negative reviews, as I enjoyed the spa. Well I do regret having wasted my time and money as I’m sure other cheaper 3- or 4-star alternatives would have been more enjoyable. Food was atrocious and service was terrible/ non-existent. Good mornings and hellos were met with blank stares. Definitely won’t be back. The facilities were great,water sports included. There was a very comfortable departure and arrival lounge which was helpful as we had to check out hours before our flight. The taste of the buffet food has room to improve. Overall great atmosphere and good hotel. The massages at the spa was very very overpriced and nothing spectacular for that price. The meal at chateau mon desire was excellent. The wedding planner was very helpful. My stay was very uncomfortable, with flooding of the corridors and stairs making access slippery and treacherous. No Health and Safety ? Room Cleanliness left a lot to be desired, bathrobe dirty and not changed between guests occupation, one dirty coffee mug for two people, bedspread (counterpane) dirty, dirty glasses in the bathroom not changed during room cleaning, tea and coffee not replaced. Stray dogs everywhere, sometimes pulling at guests' towels. In fact, I could go on and on with the shortcomings of this place. The Maritim is a true resort. The pool is just beautiful and the beach is only a few metres beyond that. The room was very spacious and had a nice garden view. The tub was fantastic. The staff are very attentive and there is always someone around to assist. And their willingness to help is very genuine. The complex is quite big, so you can't walk to other parts of the island, but if you are after beach and relaxation, you don't have to. 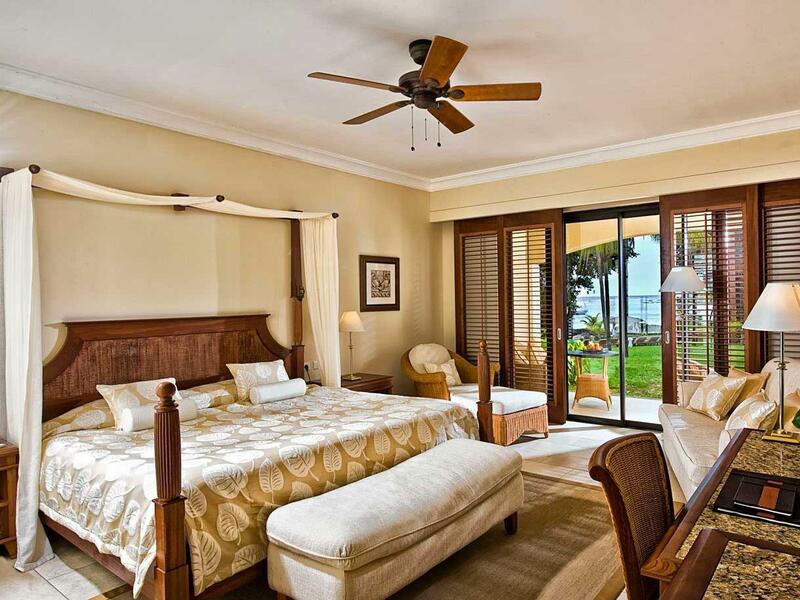 The hotel has shuttle and taxi services to other parts of the island. If you get a chance, take a walk up to giant tortoises they have on site. The only thing that I thought was odd, was that the "Balaclava ruins" were unsupervised. So don't let your kids go exploring there on their own, because there are steps without railings. Other than that, I felt like I was living in a postcard. The pool and the beach were wonderful. Our stay was really lovely. The location and facilities were excellent and the staff really made you feel welcome. The only downside was the extras for alternative dining experiences even when on all inclusive. If you stuck with the main restaurants and drinks it was good value however anything outside this was expensive and perhaps unnecessarily so.